Raphael is on a mission to save himself and the rest of the vampires from being wiped out by a plague. The only person who can help Raphael is Evaline St. Croix. The moment Raphael lays eyes on Evaline, he almost abandons his mission. If it wasn’t for the fact that his people will die if Raphael doesn’t complete his mission, he would have turned around and left. How mush is Evaline willing to sacrifice for love? 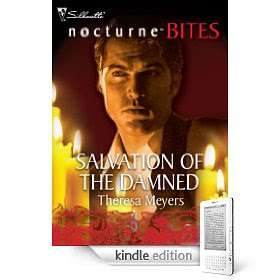 Salvation of the Damned by Theresa Meyers is a tasty morsel of delight. For a short story, I was surprised at how well this book turned out. 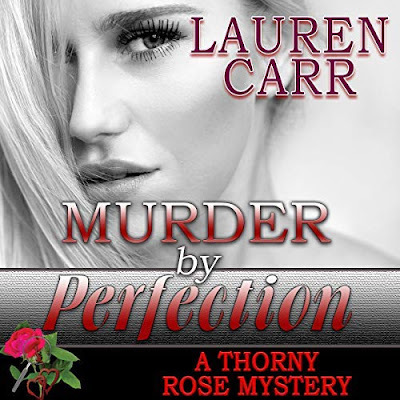 Usually the story starts out good but the ending is either lacking or rushed. This was not the case in Salvation of the Damned. My only issue I had is that this book was too short. I wanted to see more of Raphael and Evaline. They made a good match. Their love was a long lost one. This book is worth a look or two. Sounds good. It might be my next download! Unfortunately, where I live in NH, I can't get a signal on my Kindle. It's easy enough to dowload to my computer then transfer it to my Kindle but after our trip to Portland, Maine last weekend, I got spoiled. It's so much easier to download directly. Plus the sample option is not available. Bummer about hoaving to download this book to your computer first. Well I am jealous as I don't own any type of ereader at this time. I hope to get one soon.